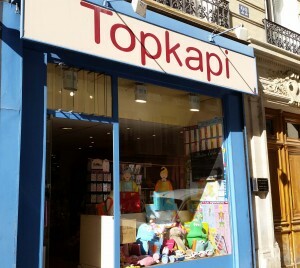 While delivering a baby gear hire Paris 7 this week, I discovered a friendly shop in the 7th district of Paris. Josephine just took over this nice toys and gifts shop. You’ll find the ideal gift for babies or to spoil your kids with games/toys with this sparkling and smiling young woman. She gives a special attention to choosing carefully her range of goods. You want to rent a car seat, but don’t know which to choose? What is the weight of my child? This is important to know, as the seat type will be determined by the weight of the child. Which car are we going to use? Does it have the Isofix system? Will we have the same car for the duration of our stay? 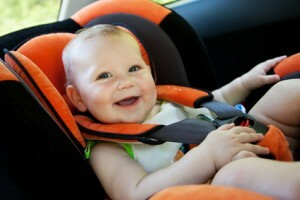 Now that you have determined your needs, here is the list of car seats available to rent. All of the Car Seats that we rent have been chosen because in addition to meeting the highest safety standard, they are comfortable, easy to install and use. 1) T he Graco Junior Baby is suitable for babies from birth to 13 kg (about 12 months). This seat comes with its own base that, once installed, allows for easy fixing and removal. The advantage : it is compatible with the Graco Mosaic stroller which is also available to rent. 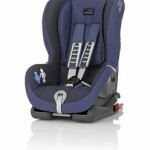 2) Car seats 0/+ 1: Chicco Eletta and Graco Junior Mini are suitable for newborns. They recline, making them very comfortable and include back supports which are easily adjustable in height, an anti-rebound bar for maximum safety and a 5 point harness for increased security. Please note that up to 9kg these must be installed in a rear facing position. 1) The Chicco Eletta with its comfortable padded seating which can be installed in a front facing position, allowing your little one to enjoy the journey. Again the back supports are easily adjustable in height, an anti-rebound bar for maximum safety and a 5 point harness for increased security. The advantage : the car seat is a little narrower than the others giving you more space in the back of your car. 2) The Graco Junior Mini comes with its own integrated base. Again it is installed facing forwards, it is spacious with a padded seat and a 5 point safety harness. The advantage : This seat reclines in 5 positions including one for infants – no problems for sleeping children. 3) The Britax Romer Duo Plus is suitable for cars equipped with the ISOFIX system, with its 2 fasteners that guarantee a rigid attachment to the vehicle, the Pivot Link System to reduce the forward movement, the harness and the adjustable headrest. The advantage : the installation is also possible with 3-point safety belt, if you do not have the Isofix system. Please note : It is mandatory to have a restraint system to 10 years old. 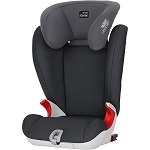 1) The booster with Britax Römer KidFix group folder 2/3 (4/10 years) with guide straps to guarantee the correct positioning of the seat belt, soft and deep side walls which provide optimum protection in case of ‘side impacts. The advantage : the headrest is adjustable in height and strap guide is easily adjustable with one hand. 2) The Graco Booster is easy to use and compact, it will provide you with safe car travel for taller children with height adjustable armrests and 2 retractable cup holders. 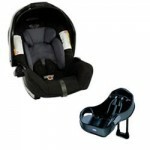 Find more informations on the car seats in http://www.babytems.com and contact us to organize your rental. This is a “kids-friendly” address in the heart of the Trocadero’s chic district. 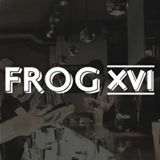 A Parisian pub that includes the original english pub’s atmosphere and style. There’s plenty of room for a family with stroller and it’s a quiet place for a lunch with kids. For parents, you’ll taste good meal and craft beers. Kids will appreciate the children-menu and coloring pads. For the youngest children highchairs and changing mat are available. The restaurant offers a brunch menu on weekends at an attractive price.